I'm not much of a perfume girl. Don't get me wrong, I always wear perfume everyday, so I do like perfumes. I just am extremely picky about them. After all, perfumes last all day and should be considered a part of your wardrobe. Smells also are so important for conjuring up memories, it just seems wrong to not be picky about them. Because of this, I find I don't tend to have a vast perfume wardrobe. Compared to my boyfriend (I have stopped counting them all, there's just so many!) I have what can only be described as a piddly collection. I always try to take my time choosing them and always go back to try them out more than once to make sure I really like them. This means that when I do finally finish a perfume, I consider it quite a momentous occasion. It just so happened that I managed to finish three perfumes that I rotated between a lot, around the same time. It was a very sad month for me when this happened. I keep picking them up to see if I can squeeze a little bit more out of them, while I debate between repurchasing, or trying out something new. First on the list is the Jo Malone Wood Sage and Sea Salt cologne. This has been a big big hit since they launched it, and without surprise. There's a warm woody note there that mixes with a crisp sea salt smell, with a waft of citrus over the top. What really does it for me is that personally, I detect a tiny hint of caramel, making it an even warmer scent. I wore this a lot during winter, but found that the overall marine feel of it worked really well in both spring and summer. When I wear it, for some reason it made me feel like I was very sophisticated, which can be pretty hard to do when I'm wearing slacks! Hmm, just writing this has made me miss it even more and want a new bottle. The next one is also a Jo Malone, but this is one that has taken me much longer to finish. The Wild Bluebell cologne is definitely a warmer month one, or at least on my skin. The notes apparently include clove, white amber and musk, but on my skin, I would call it a sparkly light floral scent. It's definitely a very fresh smell, which works best in warmer months because it is so light. I wouldn't say the longevity or sillage (in very simplistic terms: how much fragrance wafts around a person) is great, especially compared to the Wood Sage and Sea Salt, so I always end up having to carry around the bottle with me. Finally, I recently finished the Escada Especially Escada Delicate Notes, and this has been a surprise hit for me. I didn't expect to like this as much as I did, and I know next to nothing about this perfume brand, so when I was recommended it in a department store in Greece, I was initially wary of it. 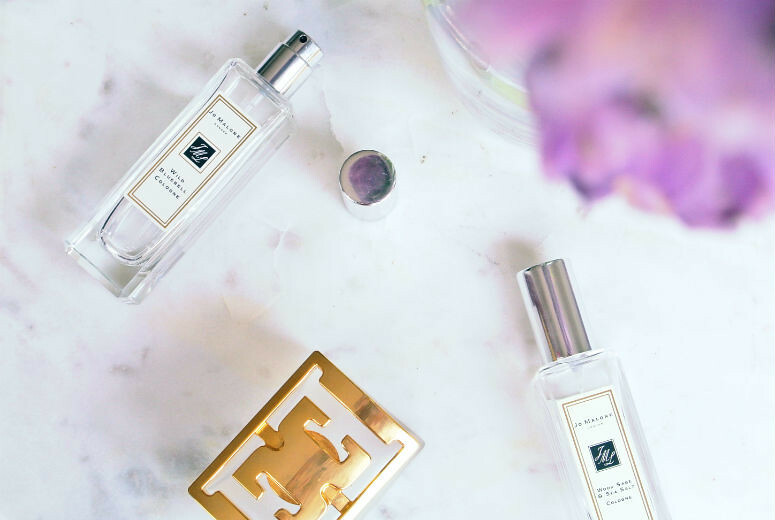 Don't let lack of knowledge of the non-major perfume brands hold you back. This scent is lovely. If you like roses in your perfume, then you will really like this I think. It's got rose and wild rose notes in it, along with pear and grapefruit, so it's a wonderful fruity-floral. It's really light on the skin, but lasts fairly well during the day. It's not the most daring or wildly interesting perfume out there, but I really enjoyed it. It's very easy to wear, and is a good perfume for both work or going out. Also, the price is very good. You can get a 50ml bottle from Debenhams for £35, and you can find it cheaper at other perfume shops. A great scent you don't have to give an arm and a leg for. Have you had any perfumes you have mourned when you finished?